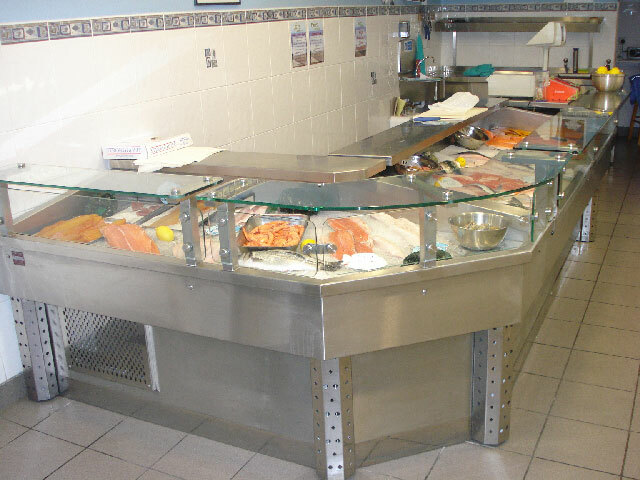 Fish & Meat Counters are used to display your product’s for your customers to see what they are buying, yet the display counter is refrigerated (approx -10 Degrees), to keep your products fresher for longer. The Display is attractive looking with built in lighting and well built to last, with built in drains for easy cleaning. This entry was posted on Wednesday, November 10th, 2010 at 12:28 pm	and is filed under News. You can follow any responses to this entry through the RSS 2.0 feed. You can leave a response, or trackback from your own site. Anything you need. In stainless steel.